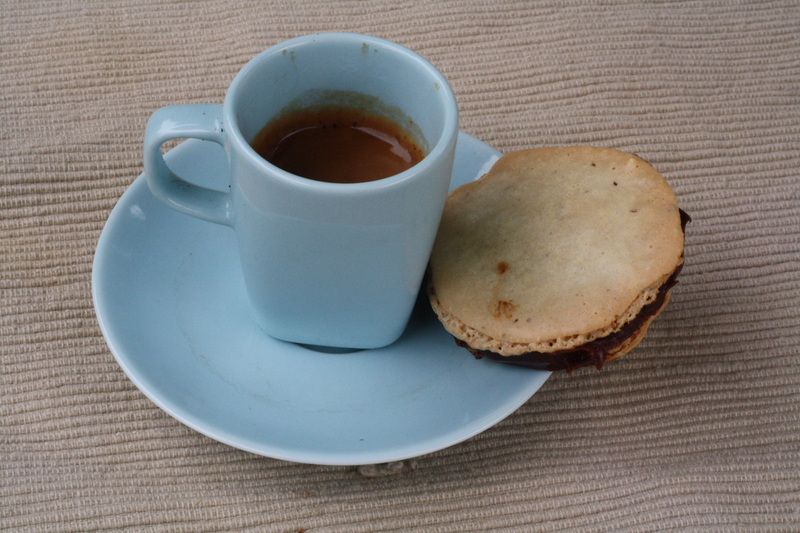 For the last two days Anne and I have been trying to bake French Macarons. We are a long ways from getting it, but here is our first one photographed beside a short espresso. The macaron did not puff up like it should. Although it was shiny and crisp on the outside. We will try again.